Renault is running a design competition and the top prize is a year’s tuition fees, so it’s certainly worthwhile for any budding design students. Second prize is a trip to Paris for two and third prize is £250 to spend in French Connection. 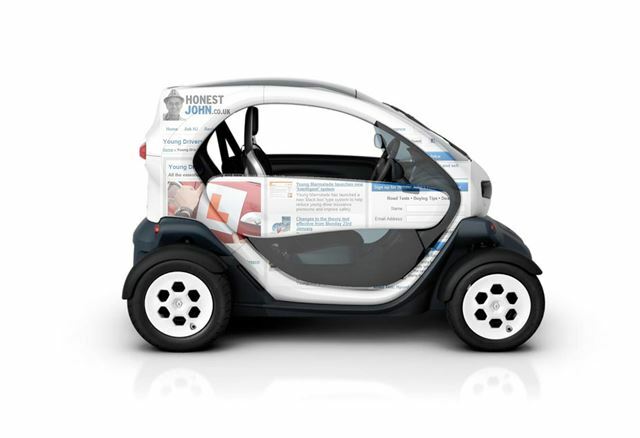 The brief is to design a paint job for the Renault Twizy, a new all-electric two-seater city car. Hopefully you’ll do a better job than us (see above)! There’s no limit to the number of times you can enter, and there’s no restriction on which university you study at. The competition closes on the 20th of February, with top ten judging starting in early March, and Renault provides all of the templates and information you need to enter here.